Ghosts are real? 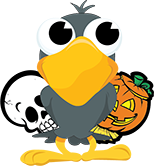 - Halloween Discussion Forums, Costumes, Horror! List your Haunted Houses and Haunted Attractions. Please include the location, dates it is active, the web site and some descriptive text. no one behind me. No faking this one! what it took to make me a true believer. Ghosts are real. You are surely brave enough to do it alone. Yes they are. I have seen one as a child. Still creeped out whenever I remember it.